BCOM offers a strong balance of tradition and innovation in providing learning and teaching facilities and resources. The College has one of the oldest and most extensive osteopathic and naturopathic library resources in the United Kingdom, with the main library sited for over 60 years in the Frazer House campus, in the impressive Victorian mansion donated to the College by naturopathic pioneer Stanley Lief. The library maintains links to online medical, complementary healthcare and scientific resources including online access to journals and Plymouth University’s e-learning tools and library catalogues. The College’s learning and teaching resources have expanded over time with specialist research facilities and a hydrotherapy suite in the Lief House building; a lecturing wing and e-learning opportunities including Osteonet, BCOM’s intranet site for students and staff. Osteonet also offers a searchable electronic dissertation archive and access to past student presentations. Access to Plymouth University’s extensive resources is also available to students and staff. Both buildings are Wi-Fi enabled. 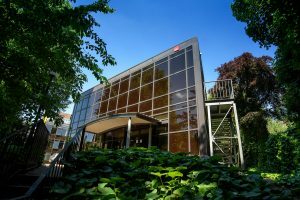 Since being founded in 1936, BCOM has developed into one of the UKs largest osteopathic colleges with a multi-part campus well located in London's Hampstead. 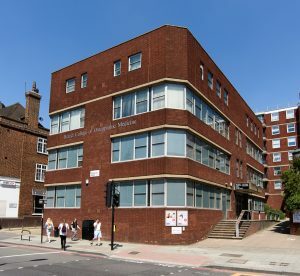 Directly opposite the Finchley Road underground station and very close to bus and rail links, the College Campus is accessible both to the city and to areas outside London. The College buildings are adjacent and located in green space, but close to the shopping and recreational facilities of the landmark O2 Centre. Having separate buildings also means that the College can give different areas of the Campus different functions - for teaching, learning, research and clinic. BCOM has a range of lecture rooms available to hire for both practical and theory classes. Each lecture room has a computer and associated projector, whiteboard and flip chart. A 20 seat boardroom is also available to hire. Catering and refreshments can be arranged if required at extra cost. Practical rooms L4 and L5 are in our Lief House building and the Theory rooms are in our Frazer House building. Our osteopathic teaching clinic offers dedicated osteopathic care by clinical Masters students under the supervision of experienced Registered Osteopaths.